Navigating around text blocks in iOS is typically done by hunting and pecking with a finger to tap in between precisely the write characters or words. There’s certainly nothing wrong with that approach and that’s what we have all become used to on the iPhone, but the 3D Touch enabled devices offer a much better way by transforming the keyboard into a trackpad. Not only can you move around text with the keyboard as a trackpad trick, but you can select text on iPhone with this 3D Touch trick as well. Let’s review how this works. You’ll notice the keyboard keys disappear and turn blank to indicate the trackpad is active. 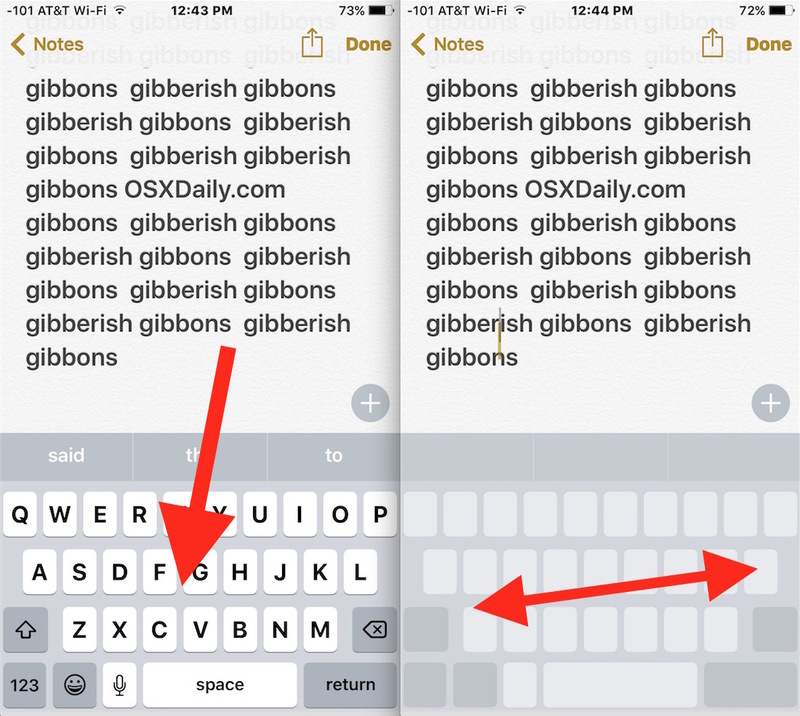 When you release the hard press, the trackpad transforms back into the regular keyboard on the iPhone. It may take a little bit of practice to get right, but once you get used to it it makes text selection and editing infinitely easier on the iPhone screen. This one takes a bit more practice to master, but once you get it down, it’s quite handy. For best results you may want to change how sensitive 3D Touch is to pressure on iPhone so that it’s easy to distinguish between the soft and hard press. This may be one of the best 3D Touch features out there, and while it missed a spot in a recent round up of eight particularly useful 3D Touch tricks for iPhone, it easily deserves a spot out there as many of our commenters pointed out. 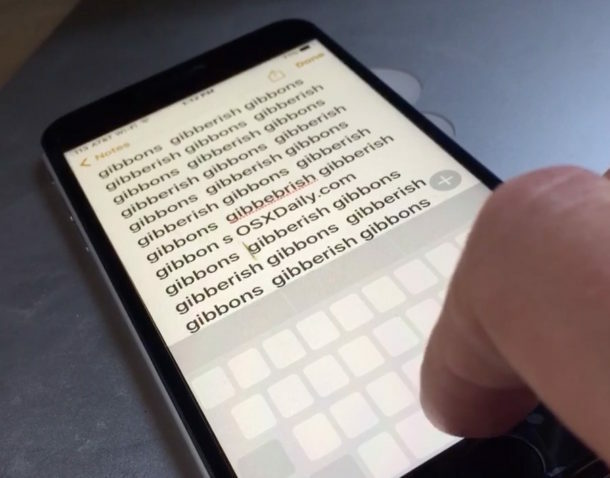 Looking for some more great 3D Touch tricks? Browse through our 3D Touch articles here. It’s a nice trick but, make no mistake, this feature is not exclusive to devices that have 3D touch. It is also available on ipads (none of which have 3D touch) running iOS 9 or later such as ipad air 1 and 2, and ipad pro. All it takes is to hold two fingers together on the keyboard, instead of soft pressing, and then immediately swipe to navigate. Or hold the two fingers, wait a second for the blue selection pins to show and then swipe to select. True, the two finger trackpad trick works on iPad, but not on any iPhone. Good feature, makes you wonder why they don’t include it. Seems not to work with Gboard on iPhone 6s. 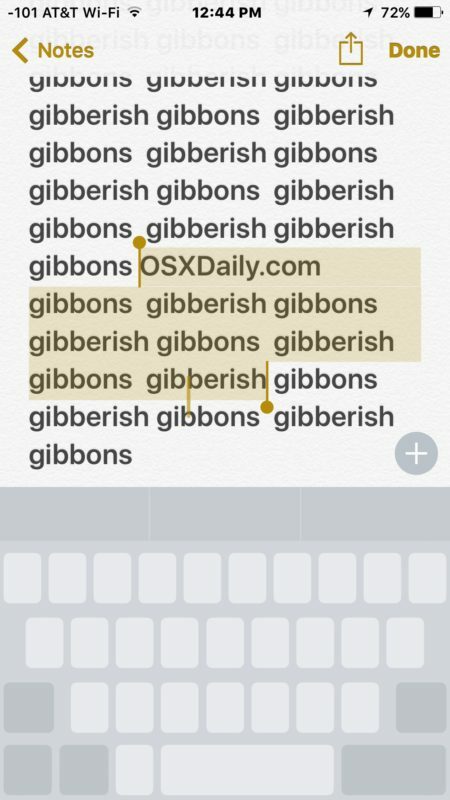 I used it on iPhone 6s on Pages and Notes, works as described. Neat trick! I can’t get this to work with Pages. Fine with Notes, though. Wonder what I’m doing wrong? OSX daily. Should be ios daily. Now wait until you find out that The New York Times covers stories outside of New York! And that Fox News isn’t actually news exclusively about foxes! Unbelievable what the kids do these days! Apple will be gone in a few more years.